I was waiting to see this picture! Alan Brookes, what a great guy! Well, I did it! 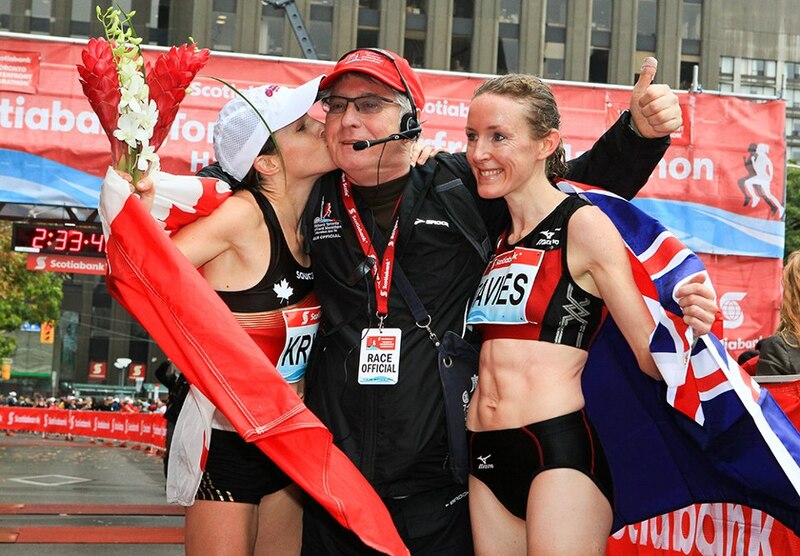 I took a full 10 days off after running the STWM, October 14. It wasn’t until about day 8 that I actually felt recovered in the quads and calves. Like I said, this marathon was a tough one. Chiba Ekiden Relay and I am one of them! What an amazing opportunity. I am quite thrilled. The phrase that’s been going through my mind the last few days is, “It became normal.”. After a week of eating anything I wanted, resting, and being home most of the day, my body started to tell me that it had had enough.Waking up early, eating a very healthy diet, running 160 km/week, planning my training and races with our family events, going to bed at 9:30 p.m., avoiding sweets, and many other things in my life, which I consciously chose to do in order to run my best marathon, became normal. Now, I’m not saying that I’m ready to get back to all of these things right away. I am typically pregnant after a second marathon (! ), which gives me a complete mental and physical break, so I know I have to be wise since Worlds (my next marathon) is 10 months away. As a dietitian who counsels a lot of people for weight loss, cholesterol, and blood sugars, I often say that they need to make a conscious decision to change, starting with the easiest thing first (e.g. make your plate 1/2 vegetables at lunch and dinner). Then once they accomplish that, they move on to the next thing. And eventually, these things will become normal. More and more I’m seeing that the last 10 years have been conscious decisions to change, in order to accomplish a goal. And I just keep setting the bar higher and higher. I believe that consistency, or what “became normal”, has definitely been a key to my success. So, in order to have a restful December, I’ll fill my calendar with a lot of the things I know I won’t be able to do later. So far, in 10 days I’ve already checked off several things on my lengthy to-do list. It’s been a long time since I’ve seen the two dear friends who stood up with me in my wedding. And this Saturday, I’ll be seeing both. Can’t wait! We now have 7 kids between the 3 of us so it should be action-packed! I don’t have many running related pictures to share, so of course I’m forced to show you my kids (and a video)! My normal. Kale salad with scrambled eggs, feta cheese, olive oil, and balsamic vinaigrette. Seth’s artwork. He drew this picture at Sunday School a few weeks ago and told me that he purposely made himself bigger than Micah. Too funny! Leah. She loves to laugh and makes you laugh. What a lovely afternoon we had today when the boys returned from school. losing his first tooth. See video. Congrats Krista! What an opportunity to compete in Japan! Love the video of the kids! Owen just lost his first tooth yesterday!